marc created the topic: Warpath Fury on SALE! 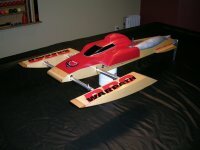 I have a few Warpath Fury in stock ready to ship. Save $100 for a limited time!